Have you been asked, “what nationality are you” or “what country are you from”? Have you been puzzled when forms tell you to “select only one ethnicity”? Have you been disturbed to hear that you’re the “face of a colorblind future”? If you answered ‘yes’ to any of these questions, this book is for you. Mixed Race 3.0: Risk and Reward in the Digital Age is an e-book that contains 17 contributions (many with exclusive photos) from award-winning writers, researchers and artists who embody a “mixed mindset.” Audacious and razor-sharp, Mixed Race 3.0 exposes the many monochromatic portrayals of multiracial people’s richness, variety and struggles in history, politics, mass-media and technology. Fans of Loving Day, Race Remixed, Mixed Chicks Chat, The Mixed Experience Podcast, Mixed Girl Problems and Critical Mixed Race Studies will be captivated, incensed and inspired by the powerful discussions of risks and rewards of being multiracial today. 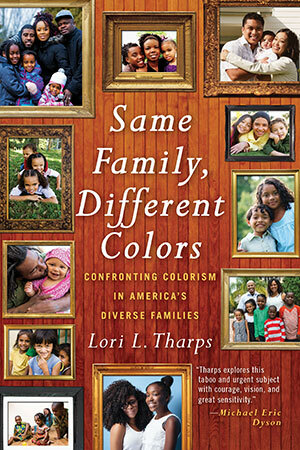 Beyond memoir or case study, this book offers three versions of what it means to be mixed from a variety of voices. Version 1 is “Mixed Race 1.0: A Monologue.” Or, how did multiracial identities emerge in the U.S. and what challenges did they face? Version 2 is “Mixed Race 2.0: A Dialogue.” Or, what are some core differences between how multiracials think and talk about themselves and how U.S. and global cultures think and talk about them? Version 3 is “Mixed Race 3.0: A Megalogue.” Or, where in the world is this entire thing going as technology plays more of a role? With honest storytelling and up-to-date critical inquiry, Mixed Race 3.0 plots a path not just to being mixed in the 21st century, but one open to anyone interested in simply “how to be.” The result is a poignant, intelligent, and daring journey that dissects the controversial label—multiracial—and challenges any politician, pundit or provocateur that purports to speak for or about all multiracial people.